Few things can upset a driver as much as losing a car key. You can’t start your car. You may not be able to get into it. And getting a replacement is so complicated. Replacement key services abound, but if you want a quick turnaround, these services come at a steep premium. That can mean paying $100 or more to get your key the following day at best. A New York City-based startup called KeyMe thinks it has a better idea. Leveraging digital technology, KeyMe produces copies of keys on demand at kiosks in under a minute. It costs $20 for traditional keys, and $65 for transponder keys. The service can successfully duplicate about 75 percent of the car keys out there, KeyMe says. The company currently has about 50 kiosks, about half of them in the New York City area. The rest are scattered around the country in California, Arizona, Florida, Arkansas, North Carolina, Kentucky, Ohio and Illinois. 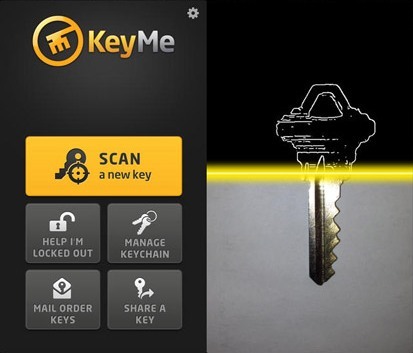 KeyMe expects to expand to 1,000 kiosks nationwide by the end of 2015. The KeyMe kiosks currently are located mainly in a few Bed, Bath & Beyond, Lowe’s Home Improvement and 7-Eleven stores and in several shopping malls. What differentiates KeyMe from other key replacement services, aside from its pricing, is its digital technology. Keys can be photographed on users’ smartphones – its app is currently available on iOS, but an Android version is in the works – and uploaded to its servers, or scanned at the kiosk. But the convenience offered by storing key images in the cloud also opens up security concerns. For instance, couldn’t someone snap a picture of your key, go print one, and then drive off in your car? Not really. KeyMe requires high-resolution photos of both sides of keys on a white background, and uses fingerprint identification for logging in at the kiosks. Unless someone has your keys already that would be hard to pull off, and if they have your keys already, well, you’re in trouble. In certain use cases, KeyMe could come in quite handy. But for owners of the growing number of vehicles using push-button start systems, KeyMe may be just another app you don’t need. Until you lose your house keys.